Why I Disagree with Robert Scoble on the "War on Noise"
For those who might not know, Robert Scoble is a tech blogger and writer who has worked at such places as NEC and Microsoft. He is quite good at what he does and more often than not I find myself agreeing with him. That is not the case with Mr. Scoble's latest blog post, "The war on noise," in which I find myself disagreeing with much of what he has to say. I do have to agree with Robert Scoble that there is a good deal of noise on sites such as Facebook, Twitter, Google+, and so on (although I do disagree with Mr. Scoble that George Takei's posts are "noise"). There are those people and companies who post far too often, and who often post content that is not particularly interesting. And I do agree that such noise is only going to get worse as technology grows and changes. 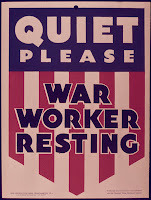 I also agree that we are going to have to to go to war with noise. That having been said, I disagree with Mr. Scoble's thought that Facebook does a good job of filtering noise, and I do not share his desire to have Facebook pick the 20 "best" posts to show me every time I refresh my screen. Quite simply, I think Robert Scoble is among the very few who want Facebook to filter their posts. Most people I know, including myself, do not want Facebook to filter their news feeds. The reason is simple. Facebook does a very bad job of it. Now to a degree one does have some control over what Facebook filters on one's news feed. One can set it so that specific friends always show in one's news feed and so that every item they post is displayed in the news feed. The problem is that one cannot do the same thing with Pages. One can simply set it so that posts from a particular Page display on one's news feed. Beyond that, one is at the mercy of what Facebook decides what they think one wants to see. This would not be so bad, but in my experience (and that of many of my friends) Facebook is pathetically bad at determining what stories would be interesting to any given individual. A perfect example of this is my brother. He liked the History Channel long ago. Every day he likes their "Today in History" post and every day he shares it. He also likes a good number of other stories posted by the History Channel. Despite this, there have been several times where the History Channel stories have not displayed in his news feed, even the "Today in History" posts. As to myself, today the top stories in my news feed were largely composed of posts I did not find that interesting and many from people with whom I interact very rarely. In fact out of the top twenty items, only two were from people with whom I interact with regularly and only one of them would I count as a "top story." Now it is true that one can hide stories on one's news feed, but it seems to make little difference. I am not sure how Facebook determines what one's top stories are, but one would think they would take into account the friends and pages with whom one interacts the most, past posts one has liked, and past posts one has hidden. That having been said, it seems to me that Facebook must not take any of these things into account when determining what is a "top story," otherwise the top stories on my news feed would look a lot different. I then have to conclude they are using an entirely different set of criteria to determine what is and what is not a top story. I might add that given how often they get what I would consider "top stories" wrong, the criteria they are using must be entirely the wrong criteria. Indeed, as far social media sites I think Google+ does a much better job of filtering out noise, although even it is not ideal. On Google+ one can adjust how much one wants to see of any given circle (the various categories in which one places one's followers) in his or her stream. One can also mute users so that one never need see their posts in one's stream without simply uncircling them. And if one does not want to filter any of his or her circles at all, one has that choice. One has no such choice on Facebook. I do agree with Robert Soble that users should be given means to regulate the amount of noise in their stream or newsfeed. I very fervently disagree with him that Facebook does a good job of filtering noise and I disagree with the idea that a social media site should automatically filter posts for users. My idea is that it is the users themselves who should set any filters they might want. On Facebook I should be able to set it so that I see every single post from a Page, much as I am able to do with friends. On Google+ I should not only be able to decide how much of any given circle I want to see in my stream, but any given circler as well (there should be something in between "mute" and seeing everything). This would decrease the amount of noise in one's stream a good deal. I would be guaranteed of seeing every single post from, say, the Doctor Who page, but not so may from the Chrysler page (here I want to stress these are just examples--I don't think Chrysler is guilty of posting noise). In my own experience neither the majority of my friends nor I want Facebook or another social media site to determine what we see in our feeds or streams. This is especially the case with Facebook, whose algorithm seems to be inherently flawed. Ultimately I think users should be given more control over what they see in their feeds or streams. And in the end, if someone feels one of their friends or followers is posting much too often, there is always the option of unfriending them or uncircling them! It was 99 years ago today that Hedy Lamarr was born. She is one of my favourite actresses of all time, and not simply because she was incredibly beautiful. Although her acting talent was often underestimated while she was still alive, Miss Lamarr was actually a rather versatile actress. Although she was often cast as exotic seductresses during her career, she could play other roles as well. She played a Ziegfeld girl in the movie of the same name from 1941 and did so quite convincingly. She also played Lily Dalbray, the beautiful spy and love interest in the Bob Hope movie My Favourite Spy. While Hollywood would cast her in only a few certain types of role, she was in enough different types of films to prove that she could perform comedy and drama equally well. 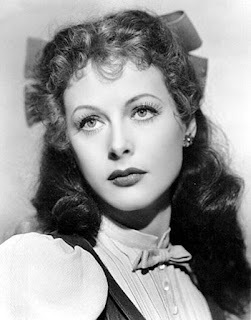 Of course, as many people know, Hedy Lamarr was not simply a beautiful woman (she was called "The Most Beautiful Woman in the World" during her career for a reason) or a great actress. She was also an inventor. With composer George Antheil she developed a "secret communication system" that was the direct ancestor of today's spread spectrum devices, from mobile phones to GPS. Given how significant the idea of frequency hopping or spread spectrum technology would be to life in the late 20th and early 21st Centuries, Hedy Lamarr's importance to modern society cannot be underestimated. In addition to her invention of frequency hopping, Hedy Lamarr also invented a cube that when dropped into a glass of water would become a cola drink; an attachment to tissue boxes to hold used tissues; a new sort of traffic light; and, also with George Antheil, an anti-aircraft shell fixed with a proximity fuse that would use radar to detect the target and detonate at a predetermined distance away. 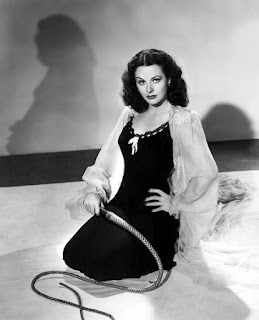 As if being the most beautiful woman in the world, a great actress, and an inventor whose invention literally changed the world was not enough, Hedy Lamarr was also the inspiration for the Batman villain Catwoman. Catwoman was essentially a combination of Hedy Lamarr, Bob Kane's cousin Ruth Steel, and a dash of Jean Harlow. That having been said, looking at early illustrations of Catwoman, it would seem that the influence of Hedy Lamarr dominated the character. 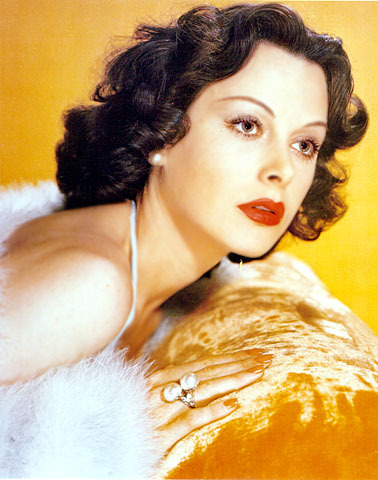 Hedy Lamarr was simply an incredible woman. She was remarkably beautiful and also extremely intelligent. While there were many beautiful actresses throughout the Golden Age of Hollywood, none of them were quite as singular as Hedy Lamarr. If you are wondering why I have not been posting much of late, it is because I am once more participating in National Novel Writing Month or NaNoWriMo for short. For those of you who don't know, NaNoWriMo is essentially a month long, writing event in which participants try to write a 50,000 word novel in only the thirty days of November. While it is still called "National Novel Writing Month," it has truly become an international event. Many people from many nations now participate. NaNoWriMo was started in July 1999 by writer Chris Baty and its first year only had twenty participants, all of them in the San Francisco area. It has grown in leaps and bounds since that time. By 2000 it had its own website and had grown to 140 participants. NaNoWriMo really took off in 2001. That year they had expected only 150 participants. Instead they had 5000. What is even more surprising is that at that time NaNoWriMo did not yet have an automated system through which people could register. Every registration had to be done by hand! It has since grown even more, with 59,703 people participating in 2005 and 101,767 in 2006. At any rate, until 30 November I am going to be working on my novel of the moment. Between that and my other writing, blog posts might be a little sparse here. Rest assured, I will make at least three posts a week as usual! 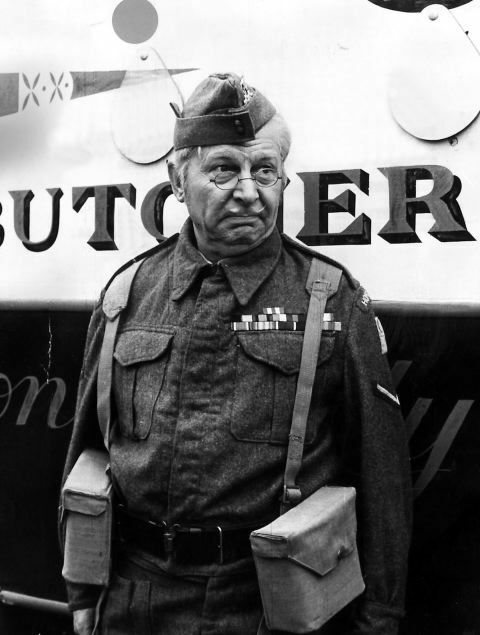 Clive Dunn was born 9 January 1920 in London. He attended Sevenoaks School in Kent. At 16 he left school to seek a career in acting. He studied acting at Italia Conti Academy of Theatre Arts, in London. Before he had even left school, however, he had made his film debut in an uncredited bit part in Boys Will Be Boys in 1935. He would also play bit parts in Good Morning, Boys (1937) and A Yank at Oxford (1938). 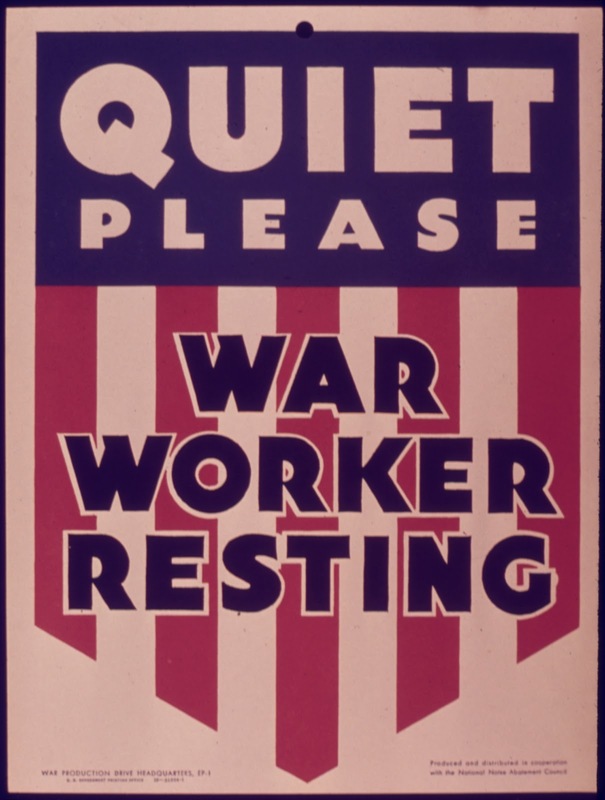 With World War II Mr. Dunn volunteered for the Volunteer Ambulance Service. In 1940 he was drafted into the British Army. He served in the 4th Hussars in Greece. Eventually he was captured by the German Army. He spent the remainder of World War II as a prisoner. After being liberated, he remained with the British Army until 1947. In 1949 Clive Dunn returned to film with The Hasty Heart. He then appeared in the film Boys in Brown (1949); however, it would be on television where Mr. Dunn would spend most of his career. He made his television debut on an episode of Five Children and It in 1951. During the Fifties he would be a regular on Happy Holidays, The Tony Hancock Show, and After Hours. He also appeared on the shows The Railway Children, Studio E, Musical Playhouse, and The Dickie Henderson Half-Hour. He appeared in the film Hot Money Girl (1959). In the Sixties Clive Dunn was a regular on Bootsie and Snudge. It was in 1968 that he was cast as doddering, seventy year old Lance Corporal Jones on Dad's Army. He was also a regular on Orlando. He appeared on such shows as First Night, Room at the Bottom, HMS Paradise, No Hiding Place, and The Avengers. He appeared in the films What a Whopper (1961), She'll Have to Go (1962), The Fast Lady (1962) , The Mouse on the Moon (1963), You Must Be Joking! (1965), The Mini-Mob (1967), Just Like a Woman (1967), 30 Is a Dangerous Age, Cynthia (1968), The Bliss of Mrs. Blossom (1968), Sophie's Place (1969), and The Magic Christian (1969). In the Seventies Clive Dunn was a regular on the shows My Old Man and Granddad. He appeared on such shows as Full House, Sez Les, and Metal Mickey. He appeaerd in the films Dad's Army (1971), and The Fiendish Plot of Dr. Fu Manchu. Clive Dunn was an extremely talented actor, particularly skilled at playing old men. He was actually one of the youngest members of the cast of Dad's Army (he was only 48 when he was cast as Lance Corporal Jones), but he played the oldest character on the show. He also played older characters on Bootsie and Snudge, My Old Man, and Granddad. Clive Dunn was also very gifted when it came to comedy. Jonesie was easily the funniest character on Dad's Army, turning the phrases "Don't panic!" and "They don’t like it up ’em!" into national catchphrases. When it came to actors in situation comedies, Clive Dunn was one of the best.